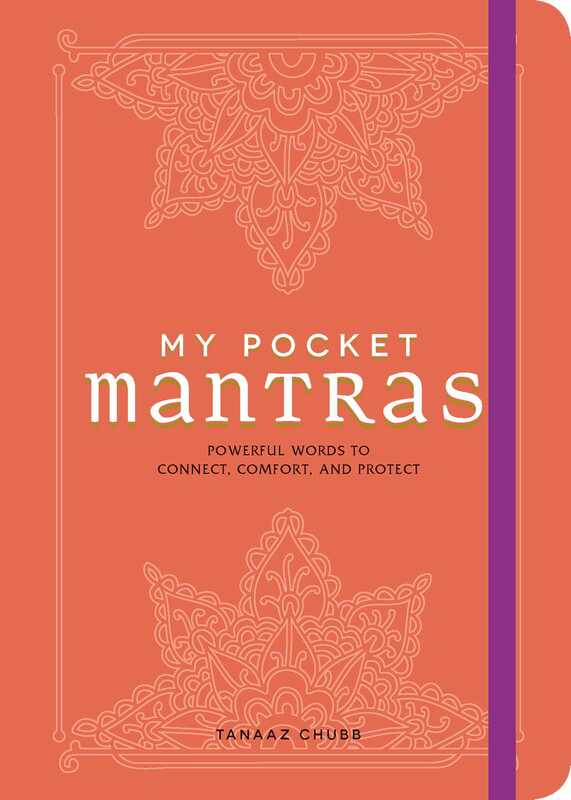 Find a moment of peace and comfort with this beautiful, pocket-sized mantra book—giving you a chance to easily recite mantras throughout the day or whenever you need a pick-me-up. Words are powerful and have the ability to shape our thoughts, change our perception, connect with others, and provide comfort in our daily lives. My Pocket Mantras provides more than 140 mantras designed to help you shift your mindset in a positive way. You’ll find mantras for self-love, healing, success, releasing stress and anxiety, and more. With short, rhythmic phrases that are easy to recite and repeat, each mantra includes insights into how to direct one’s thoughts and experience its benefits. "The way we talk to ourselves creates our reality. My Pocket Mantras … helps you cultivate a self-compassionate mindset. Chubb stresses the importance of filling our own cup and listening to what your heart, body and mind need … pausing and taking a moment to check in with yourself about what you really need right now." "I’ve been experimenting with different forms of meditation lately to help me shift my mindset, and repeating mantras is one that My Pocket Mantras has made easy for me. It’s super easy to find a phrase to inspire and uplift you .. .Even if you are a beginner, you’ll find it very easy to follow along … an easy book to simply pick up, choose, and repeat your mantra, and go on with your day. I definitely recommend it."